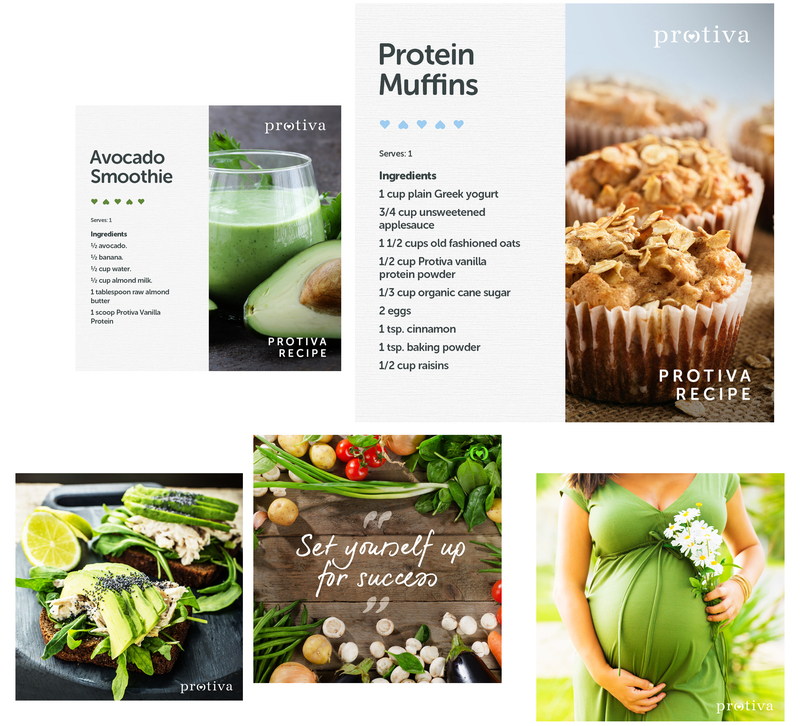 The only clinically-proven protein shake for expecting and new mums, Protiva asked Knight Studios to create inspiring and educational creative content and marketing for their channels. 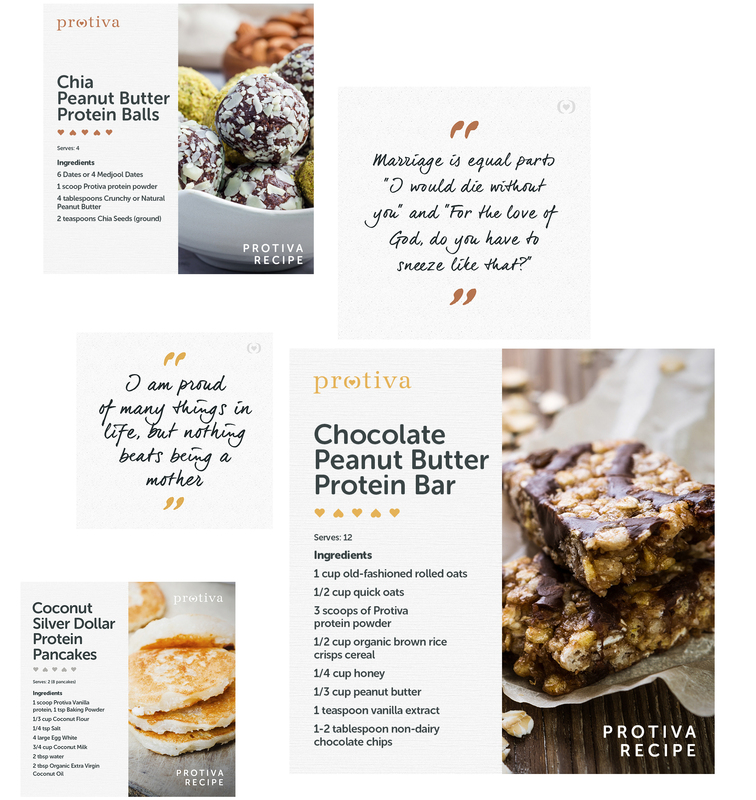 From inspirational quotes, to top parenting tips, to delicious recipes, we created hundreds of static and moving graphics, collated in a content library for them to use when needed. Working closely with their leadership team, we also helped create a content strategy and plan for the year ahead. Natural and neutral tones, helped to create a calm and relaxing look and feel for the content. 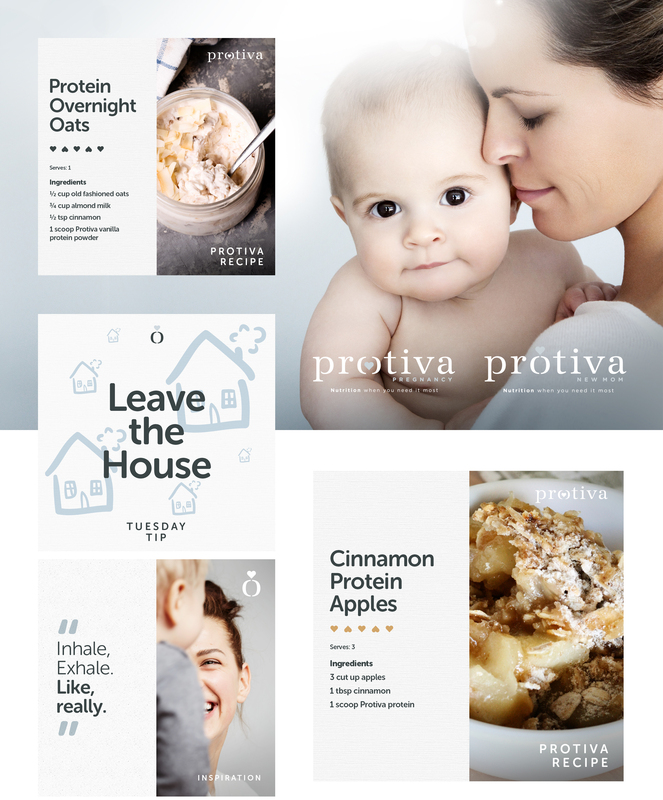 With subtle paper textures and a premium baby-magazine photographic direction, it placed the brand deliberately at the high-end of the baby and parenting market. We continue to work with this amazing brand, as they grow and establish themselves in the parenting market, creating unique and exciting daily content, while our digital teams supports them with their website and it's continued growth of online sales.